It was another fantastic “pancake breakfast” event at Syracuse University this year. 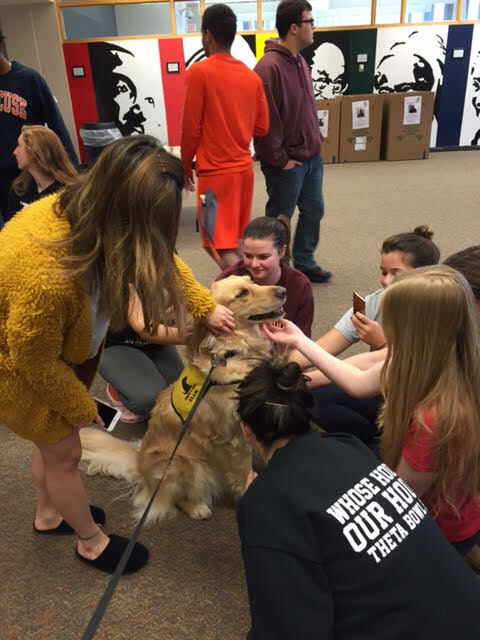 PAWS of CNY has had the pleasure of attending the late night study break and de-stress event for SU students for the past five years and each year bring smiles and tail wags. PAWS of CNY volunteers were thrilled to have the opportunity to attended a student de-stress event at Onondaga Community College (OCC). 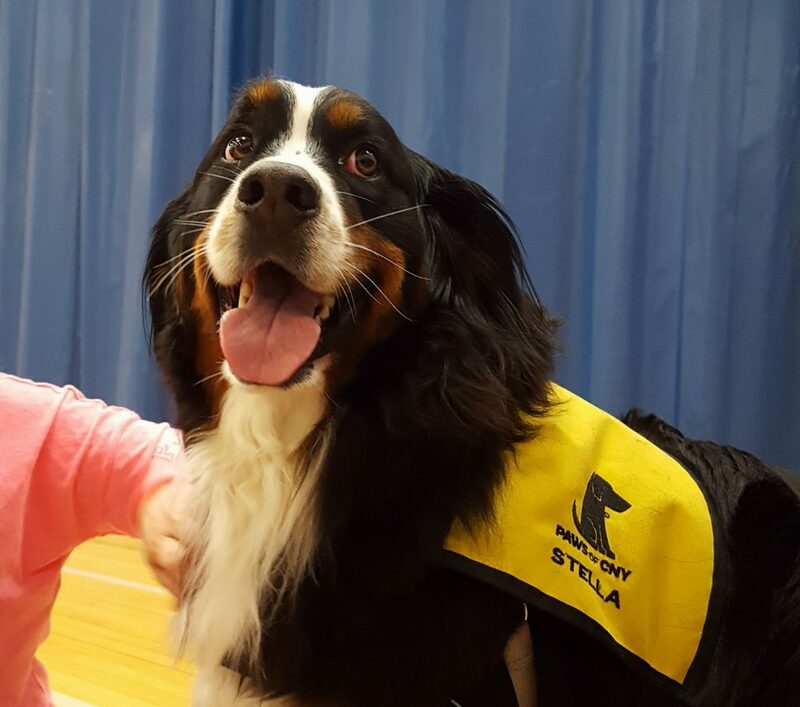 The purpose of the event was to encourage students to take a break from finals and participate in several wellness activities, including interacting with PAWS of CNY’s certified therapy dogs. PAWS of CNY volunteers attended a de-stress event at the State University of New York (SUNY) Oswego. PAWS of CNY’s volunteer handlers and certified therapy pets visited with students at Cayuga residence hall to encourage them to take a break from studying and de-stress. On May 1, Syracuse University’s Flint residence hall held a de-stress event for students to encourage them to take a well-deserved break from the rigors of studying. On April 13, POMCO held a wellness fair for its employees. 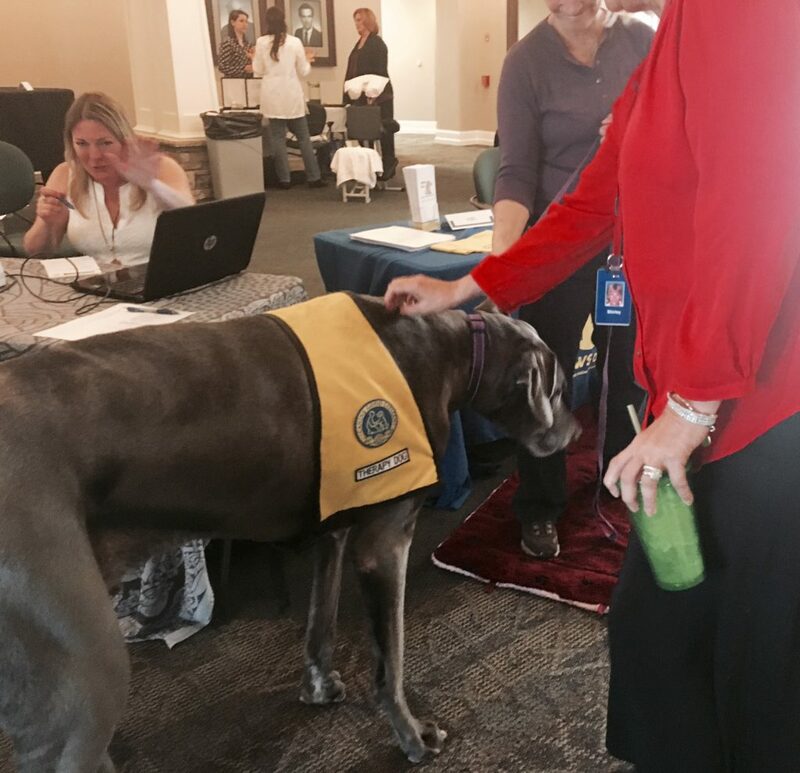 Among the many wellness vendors in attendance, included certified therapy dogs from PAWS of CNY.